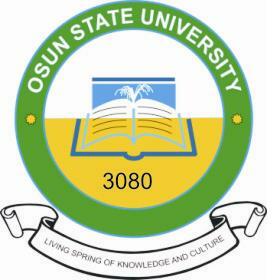 Osun State University, UNIOSUN post UTME result for the 2017/2018 academic session is out. Candidates that participated in the screening exercise can now check their results. From the information reaching us, we are glad to inform all the candidates that participated in the Osun State University (UNIOSUN) just concluded post UTME screening exercise that the management of the institution has released their results. 2. Enter your DE/UTME registration number and your account password in the required columns.